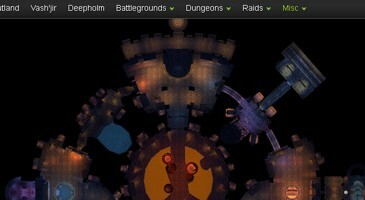 Home \ Tag "Tiny Speck"
The co-founder of Glitch developer Tiny Speck, Cal Henderson, has peeked through some of the World of Warcraft game's files and extracted textures in order to create the World of Mapcraft - the game set out to be like Google Maps. Glitch Relaunching With Free Houses For Everyone! Glitch, the 2D Flash MMO that was launched and then quickly "unlaunched" this past Fall to address some issues with the game's content needing some extra work.